The Australian Skilled Migration Visa enables highly skilled migrants to permanently move to Australia to fill shortages in the Australian workforce. Australia needs skilled workers urgently – 150,000 jobs are advertised weekly. The unemployment rate is from 3.5-5%. If you do not have a job offer or you have dependants and want to be permanent resident on arrival the Australian Skilled migrant visa is the option for you. 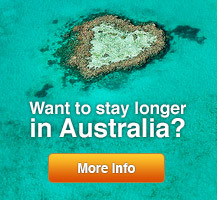 It’s a points based visa that will allow you to work anywhere in Australia. Family member can be included on the application but you must be less than 50 years to apply. When you are granted a permanent resident visa, you will be allowed to live and work in Australia indefinitely, it is a multiple entry visa. GIA with its partners will guide you through the eligibility and application stages.